I only recommend Carb Clycling for serious bodybuilders! What is Carb Cycling? Does it Work? Almost all of us who are trying to lose weight have followed some or the other kind of diet plan for losing weight in a healthy manner. According to one resource most of the diet plan that we follow, are specifically designed to cut out the carbohydrates present in our regular diet as they result in obesity. But we must understand that though Carbohydrates contributes to weight gain, they are also the energy boosters that help us to function effectively. Generally this results in excessive fatigue, increased food cravings, loss of attention and many other effects. One of the best ways to lose weight effectively without those drawbacks is by Carb Cycling. Let’s discuss in details what all we need to know about Carb Cycling. It is a kind of diet plan that provides you the sufficient amount of nutrients as well as carbohydrates through healthier intakes by introducing higher carb days and lower carb days in the diet plan. This helps in burning excessive fat during workouts and helps to consume the carb as a fuel. In a diet plan without carbohydrates (or carb as you say); you burn your carb and muscle tissues for energy consumption. In Carb Cycling you lose fat and not your essential supplements. The internet has shamed carb to be the worst thing for someone who is trying to lose weight. However, it’s not the carb that is unhealthy but unbalanced and unrestricted consumption of it. Carb helps you to carry on with not only your workouts but also everyday routine life. Hence a major lash results in physical exhaustion. Why so much focus on Carbs, let us clarify the advantages and disadvantages of Carbs. So while you will be switching through these three days, you should also understand the impact and the science behind this technique. While you are in your lower-carb days, this is what a surge of carbohydrates will do to your body. Try not to consume more than 200 grams of calories on these days. An ideal range is of 150-200 grams of carbs. While building muscles, we must concentrate on release the right hormones in a right way. On high-carb days, this gush of carbohydrates will constructively affect hormones required for muscle protein metabolism and energy consumption such as insulin, testosterone and others. It also helps us in retaining the Glycogen level which acts as energy storage centers that can be used during extensive workouts. Therefore it is advisable that you increase your calorie intake on those days which are your extensive ones. But do keep in mind that in a week two high carb days is usually what you will need to hit that balanced diet. More than that can result in gaining fat than losing it. On low carb days, the body will return to former form of muscle gaining and will help in burning that unnecessary fat by using it as a stimulator. High carb days will help in the restoration of glycogen levels. Having three low carb days is adequate for the rest of the week. Less than that can result in increased fatigue sessions. More than this might add some extra calories that are not required. Try to keep your consumption within 75 grams of calorie. On no carb days, there will be absolutely zero carb intakes and this will help you in burning any extra fat that you might have added. You need to have two no-carb days in a week to cut out on calories and consumption of proteins and nutrients required for muscle building. Proteins help in generating muscle tissues and hence it is of vital importance that a heavy consumption of proteins should be combined with your calorie intake. Although if you still feel dizzy, try to keep it within 25-50grams on no-carb days. You can definitely create your own chart according to your flexibility but we have seen a lot of potential; in this kind of carb cycling diet charts. Though Carb Cycling might look a bit uneasy but it‘s results are drool worthy. We all know that while gaining muscles we tend to gain a bit of fat around our stomach. Carb Cycling effectively saves us from that trauma. By the fluctuations induced in the calorie intake, our body starts to respond in a completely different way. This kind of carb cycle diet will allow your body to be more flexible and achieve the results that you dreamt of. Therefore your consumption must match your workouts to get the desired results. This is very important. While you prepare your carb cycling meal plan, keep in mind that the more you exercise, the more energy you lose. Hence plan your carb cycle diet in such a manner that your high carb days are the same as your most exhausting workouts. As you will be consuming enough calories during these days hence to make sure that none turns to fat, we need to work out. This will keep your carb levels adequate to provide you enough energy for your workouts as well as for the rest of the week. It will also help your body recover from any muscle tear. Having lower insulin levels in your body while undergoing strenuous activities, can result in dizzy sensations. These are some of the examples of the kind of food that you should be looking at. Scientifically carbs account for water retention in your body and hence a huge of energy and water gets reduced when you trim down your carb intake considerably. On no-carb days make sure you consume a whole lot of proteins primarily from vegetables and lean meat. Avoid starchy vegetables as it increases the carb content. But of course before planning out your carb cycle diet, do a calculation of your required carb intake. We will show you how later. Do not get alarmed if you see any kind of weight gain. That is primarily due to water. This happens when you are on your high carb days. As I have told earlier that carbohydrates to a huge extent determines the water content of your body, hence when you consume enough calories during those days, they break down to form water and energy. The ratio of carbs to water roughly stands to 1:4, i.e., every pound of carbohydrate adds to almost 4 pounds of water. Though you may get tensed but this is important as well. When you will be back to your low-carb or no carb days as planned, you will lose that watery weight that you are carrying. Hence do not cut down on your carbs assuming that you are gaining fat. It is not fat, it is water. Low fat processed products – many cereals and product claim that they contain less fat. Do not fall for such since processed products will always carry saturated fat. Trans-fat products – fully or partially hydrogenated oil that can result in fat deposits. Sugar – in form of fruit juice, candies, ice cream, cold drinks and many other eatables. White flour – replace white flour in waffles, pancakes with whole grains. High processed food – food items that are excessively processed are harmful for our diet as it affects our metabolism a lot. Meat – Meat is a very rich source of protein and carb intake. Lamb, pork, chicken, beef are few examples of it. Again, avoid frozen meat. Eggs – Eggs are rich in omega 3 acids and proteins. It helps you to build muscles rapidly. Fish – Another supplement that is good for your overall health. Consume Salmon, Trout and other varieties. Try to get your hands on the natural one other than a factory processed. Dairy Products – Needless to say, we all know the variety of nutrients that milk and milk products have to offer. From bone strengthening to musculature, it promotes your health on the whole. Cheese, yogurt, milk, butter, cottage cheese are all great sources of calories. Healthy low saturated fat oil – Coconut oil, Cod liver oil, olive oil and many other varieties are widely used as they contain less saturated fat as compared to others. Vegetables and Fruits – Consumption of apples, spinach, broccoli, strawberries, oranges, carrots and many other vegetables. Avoid starchy vegetables such as potatoes. Sweet potatoes are good though. Carbohydrate is mainly composed of carbon, hydrogen and oxygen that break down to form glycogen and water. Simple glucose foods or Monosaccharide, decompose quickly causing a sudden surge in insulin levels and hence fades away comparatively quicker. Whereas, Complex carbs or Polysaccharide, breaks down slowly and hence causing a gradual increment in glycogen levels. As they also contain fibers, carbs helps in maintaining glucose level, reduce the risk of heart diseases, reduction in cholesterol levels in blood and also strengthens metabolism. Fat is mainly composed of glycerol and fatty acids. Therefore when they break down, they break into smaller fatty acids and gets stored in different parts of our body. Fat is one of the micronutrients along with carbohydrates and proteins. Fat controls the hormonal discharge in our body and protects vital organs from damage. Though when consumed in large quantities, it decomposes to form cholesterol which with time can cause severe constriction in blood flow in your veins creating roots for various other ailments. According to Food and Nutrition Board of the Institute of Medicine, your average diet should consist of 40 to 65 percent of calorie consumption and 20 to 35 percent of fat. Hence your diet should consist of ample carbs and protein for that preferred effect. Be extremely cautious of this. The carb cycling meal plan is a thoroughly thought and scientifically proven mechanism so that you get that perfectly toned and fat free body. The variations in sugar intakes will make your body flexible enough and it will get used to the procedure of fat burning instead of muscle tissues and carbs. Therefore it is of vital importance that you do not tweak your diet before it is necessary. Remember that untimely and inappropriate carb will result in fat that could have been avoided. This will not only affect your body in proportions but also internally as it will boost your metabolism and increase your stamina and energy utilization. The calculation for carb intake depends on a few factors depending on your workout routine and resistance. The carb consumption is different in males and females according to their physical stature and needs. This diet plan is based on the following weekly routine of five low carb days intercepted by two high carb days. For a person looking out for gaining weight and adding muscles, four or maximum five high carb days and two low card days is appropriate but do remember than you are not having all the five high carbs days together as the desired image will be severely compromised. This is a typical diet for a Low Carb Day. ½ turkey sandwich in whole wheat bread. This routine is according to the following calories calculation assumption (Do not consider it to be a strict standard). As I have told before that the calorie calculation will differ for every person, therefore try to ease your body with timely and accurate intake. Consume as little fat as possible. The rough estimation of your calorie intake will differ according to the points that I have mentioned earlier. To give you an approximate idea of how this should be done, let’s take an example. Say the amount of calorie you consume everyday is 2000. Therefore in order to lose 1 pound or approx .50 kg per week, you have to cut down on 455 calories per day or 3185 calories per week. This means, for losing one pound a week, you have to consume 10,815 calories per week instead of 14,000 calories that you used to. A deficit of 455 calories per day means an intake of 1545 calories instead of 2000 calories. This calculation goes for an average diet plan but, since we are going to tweak our carbs a little therefore our calculation has to be different from the rest. We will be breaking up the days in three high and three low carb days. For the 3 high carb days, you will consume 2200 of calorie. Do not mess with the routine. Now in those 3 high carb days you will gain 2200 x 3 = 6600 calories. Remember our goal is to achieve 10,815 calories in a week to lose a pound. Therefore the remaining 3 low carbs days will carry the rest of the plan since you have to spare one day at least for a zero carb day. Therefore on 3 low carb days you will consume 4125 calories, that is, 1405 calories per day. Whatever your plan is, never consume less than 50 calories on any low carb day since that could again result in the failure of the process. Unable to focus and dizziness with frequent exhaustion breaks are quite common. Our goal is to avoid that and burn out fat instead, hence this kind of tweaks are much healthier than an average diet plan. And that is why the carb cycling diet is also important. If you mess with your meal, you also upset the balance of the carb intake and hence your body will not behave the way you wanted it to causing avoidable fat or extreme sugar loss. This in turn, will harm your hormonal flow that will be triggered by the rise and fall of the insulin level in your body and hence the whole procedure goes to waste. Now we know the Do’s and Don’ts of Carb Cycling, but the understanding of the method behind is equally important. What happens, how it happens, what are the hormones it releases, how does it affect our body and many other things as well? After all, we do not want to stress our body if we do not understand or agree with the consequences. We all want that dream body of ours. You must wonder, why all this hype about low carb and high carb, why the fluctuations? Well, we have an answer to that to. At Medical College of Wisconsin, University of Arizona, and the experts at Harvard University all have agreed to the same phenomenon that “A low-carb diet will not help you to lose fat faster”. In an average diet, you go on a regular low carb diet. As a result, your blood sugar remains an all time low. Therefore you do not have any noticeable advantage of weight loss when you switch from a regular diet to a low carb diet. It is a healthy relationship of give and take. This means, how much energy you provide to your body and how much does it burns. If you are consuming calories in the higher side but your workouts are insufficient in comparison, possibly you will gain more weight. If you are releasing more energy than what is provided to your body it might result in weight loss. The motive here is to lose fat and not weight. So basically there are two types of energy balance, namely, positive energy balance and negative energy balance. Positive energy balance is achieved when you have more energy than what you are spending every day. Although, more of energy retention can have its ramifications as well. If you are overeating then possibly you can risk the chances of excessive cholesterol leading to various cardio-vascular diseases. In Negative energy balance, you tend to lose not only fat but weight as well and could harm in the long run. Upsets your metabolism. Though in case of severe negative energy balance, your body treats it as an emergency and while it is carb deficit, fat reserves will take its place instead of nutrients. This exchange of energy is actual the pivot of this whole procedure. Keeping a balanced energy level, will help you achieve your desired state. Most of our diet is comprised of micronutrients and micro-minerals. The most important trio of all these are protein, carbohydrate and fat. During protein metabolism, our protein intake gets synthesized into amino acids. These amino acids are further broken down into a-keto acids which produce energy and glycogen, carry the synthesizing process to the liver. The liver stores the unused glycogen produced and maintains it for future consumption. While you do all your strenuous workouts, protein help in repairing you damaged muscle cells. Your diet must contain the necessary amount of protein to trigger the 12 major amino acids. Branched Chain Amino Acids also known as BCAAs. Zinc, Magnesium Aspartate, Vitamin B6 and many other nutrients. Complex proteins play a major role here since they disseminate gradually therefore providing more energy storage. In first case, the proteins are disseminated to create amino acids and in second case it creates new proteins and hence aids in muscle growth. To boost up your muscle growth, keep in mind that your synthesis should be better than your metabolism. When you do strength training or resistance training tends to tear your muscle cells. Protein tends to tend up to those cells. Once your body is trained to lose fat and gain weight, it is undergo a change. Due to rigorous training, instead of tending to the damaged cells by increasing your synthesis rate, it adds new muscle cells in your body resulting in muscle growth. Low carb and strenuous work out – Make sure that you are not stressing yourself for fat loss since low carb does not alone help in fat loss. It will also result in weight loss and reduced metabolism. High carb and low activity – Over-eating is another evil that will come up if we do not count your calorie intake right. Unnecessary fat accumulation can be a major issue. High carb day – legs workout. Low carb day – chest workout. 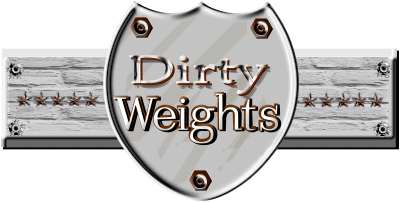 Low carb day – shoulders workout. Low carb day – back workout. Low carb day – biceps or triceps work out. No carb day – rest. Strength training boosts us your fat loss and muscle growth. On your high carb days, go for such trainings as it will help also promote your metabolism rate resulting into improved energy storage. Weight-lifting is one of the classic examples of strength training. Having one of two days for this workout in a week will help you gain muscle growth. Although, do not overdo yourself and end up losing more. Since the next stage of fat loss is essential energy loss. Overdoing cardio can also result in weight loss and not weight gain as stretched hours of cardio can result in excessive energy consumption. Overtraining yourself during these conditions is a common practice. It is advisable to avoid over training yourself as it may do more harm to you in the long haul. Insulin is a peptide hormone that is generated by the beta cells in your body. It has significant impact on the metabolism of the micronutrients, namely, carbohydrates, fats and protein, by enhancing the absorption of any form of glucose from the blood into fat and muscle cells. This glucose is then turned into glycogen and also used as power storage. Generation and secretion of Glycogen through liver is primarily manipulated by level of insulin in your body. Insulin circulation also affects the dissemination of proteins in to various other tissues. Low insulin levels in the blood will generally result in excessive sweating, weakness and dizziness. It is one kind of steroid hormone produced by the adrenal glands. It gets triggered due to stress or low blood sugar content. During your low carb or no carb days, the Cortisol gets triggered and works as an anti-stress and regulates your loss of calorie. It generates glucose through glycogen and aids in the distribution of proteins, fats and carbs in your body. It also supports bone generation. It is another kind of steroid hormone that belongs primarily to the androgenic group. Testosterone is although primarily generated by respective reproductive organs of both sexes in some quantities but it is also produced in our adrenal glands. Testosterone also aids in bone formation and muscle enhancement. It is an anabolic steroid, which means that it promotes protein in muscle and bone cells majorly. It has been used to enhance metabolism and bone formation before. It is a hormone that increases hunger and cravings. Leptin helps in sending hunger satisfaction response to your brain. It also aids in increasing metabolism. People looking out for weight loss should look out for this as one your body gets used to it; you will not feel the satisfaction of hunger even after consuming enough calories. The reason why we love food that has a lot of calorie in it is due to the release of serotonin. Carb promotes the secretion of this hormone. Serotonin is a hormone that helps us in uplifting our mood. It’s a ‘feel good’ hormone. Try and resist yourself from preventable calorie intake and keep your consumption such that the release of this hormone remains under control. Every nutrient or workout or diet plan, have their advantages and disadvantages and carb cycling also had its own share as well. When you are on low carbs you lose weight pretty well. But the point is that the bulk of the weight lost is actually water loss, energy loss and loss of muscle tissue – not fat. When carb level is low in your body, it not only gets inclined to fat reserves in your body but also consumes the protein, disseminating it and converts it to glucose for energy consumption. When traditional diet is consumed, some of the muscle tissues are repaired, body hydration is restored to normal level and weight is gained primarily as Fat. So when you spring to normal from your average low carb diet, you have decreased weight and muscle tissue and your calorie consumption rises to maintain your weight. Due to low carb, Leptin can be released resulting in binge eating. Very low carb food generally contains saturated fat. This can increase your chances of high level of cholesterol in your body leading to various cardio-vascular diseases. We have seen people starving themselves and getting terribly weak who consume extremely low carb diet. Therefore carb is your friend in weight maintenance. Some people induce so much carb in their diet that it gets almost impossible to use all the carbohydrate consumed into energy, let alone protein and fats. The leftovers are then converted into fat. Carb cycling regulates this unhealthy carb increment and deduction. It actively eliminates the disadvantages of low carb diet by alternating the carb intake. After a quite low level of sugar in your blood when it experiences a surge of carb intake, it boosts your system to burn more fat and in return create newer muscle tissues. The continuous supply of calorie will restore the level of water and protein in your body for a sustained energy restoration and utilization. It also boosts your metabolism and helps you to lose fat and build muscles at the same time. It calls for some real dedication. You have to be consistent with your energy balance. Know your calorie calculations well and make sure they match with your body goals. Even after all these you might gain some water weight for some time but will gradually lose it. After some time, your body will be resistant to your routine and the response will decline gradually. When you realize that your body is saturated with your regime, introduce new tweaks. 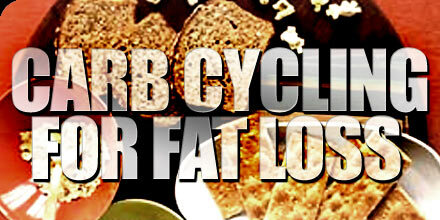 Among many ways of fat loss, carb cycling is the most effective and healthiest of all. Many still argue that, carb cycling is good for what kind of fitness goals? Well the answer is simple; it fits for Muscle generation and body maintenance as well as Fat loss. As explained earlier this whole mechanism works on the motto of “Lose Fat, Gain Muscles”. The perfect combination of diet and exercise will maximize your effects that months of regular dieting cannot provide. Do not starve yourself. Carbohydrates, proteins and fats are all that you need to be concerned about when you plan your diet chart. Though many trainers will suggest you to include a “cheat day” in your program, when you can eat all that you want, but remember, it should not tamper with your calorie intake. Having a mindset of binge eating can end up in having much more calories than you need on a weekly basis. It will also hamper your metabolism and will fail to utilize the carb intake. In return, unwanted fat in various body parts. 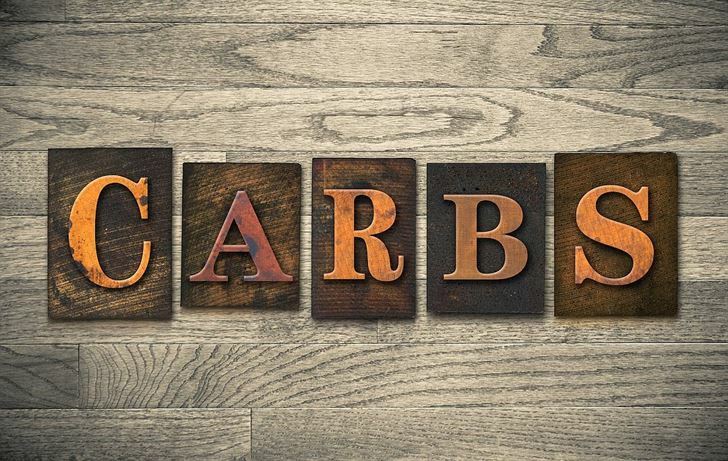 That is all you need to know to get started with carb cycling. It does tend to be a better-quality structure of diet plan for those who really want to maintain workout performance and prevent weight loss. Carb cycling diet? How to carb cycle for weight loss. A super simple carb cycling meal plan that will get you started. Does carb cycling work? I’ve tried carb cycling and achieved decent results. However I couldn’t stick to it for more that 11-12 weeks. Any advice?